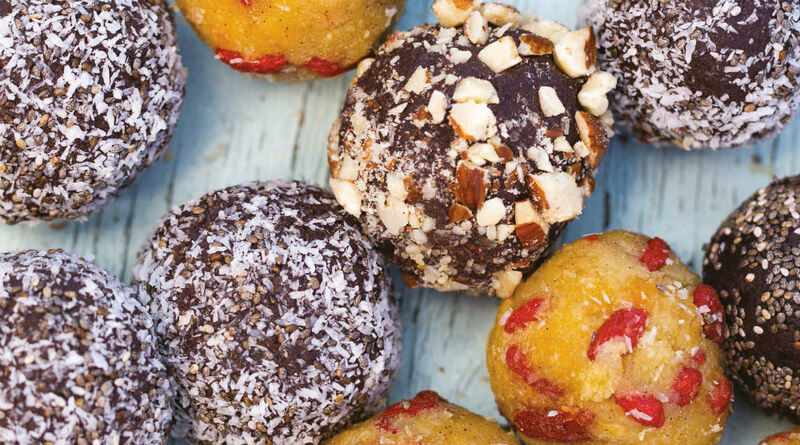 The Crazy Kitchen: Are energy snack balls all they are cracked up to be? Are energy snack balls all they are cracked up to be? The healthy snack industry is big business. For the health conscious who love a sweet treat, energy balls have become the go-to healthy snack to eat on the go. Piled high on the counters of every gym café, the energy snack ball is also the legitimate sweet treat for the exercise crowd. Gym café bars are filled with smug fitness fanatics nibbling away at their protein-loaded healthy snacks. But, even those not into exercise are biting the energy snack ball craze. Even Deliciously Ella has her own take on supermarket shelves. It’s another good point, but so what if we are fooled into thinking the energy ball is a perfectly good sweet treat or dessert? Surely, it’s better than scoffing a bar of Dairy Milk? Then again, I guess that depends on what is in them. What are energy snack balls made from? Most energy snack balls consist of some combination of dried fruit, usually dates, nuts, and seeds. Additional ingredients include oats, puffed rice or other cereal, coconut, raw cacao, matcha, ginger, cinnamon, nut butters, chocolate chips, honey, agave syrup and vanilla extract. This isn’t an exhaustive list. There are many other additional ingredients, but these are the main contenders. 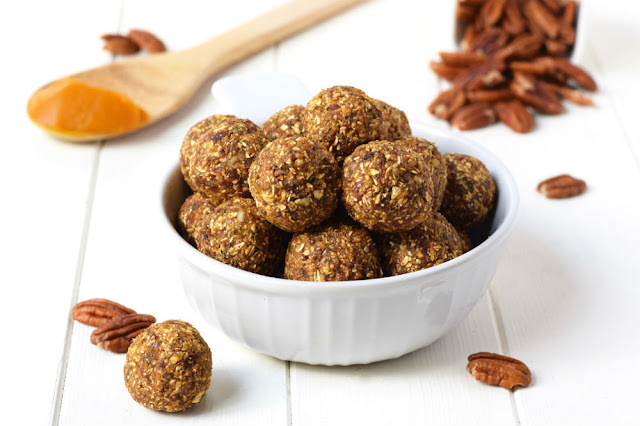 Are energy balls a good snack choice? On the whole, yes. Energy snack balls are generally a better alternative than muesli bars, chocolate bars and other refined snacks. However, ingredients in snack balls vary widely, so it’s always important to check the ingredients list before you buy. Try to avoid those snacks containing refined sugar and processed ingredients. Here are the best protein and energy snacks according to Forbes. While wholefood, raw, natural and energy are all words with a healthy connotation, don’t make the assumption that just because they are mentioned on the packaging, there aren’t hidden nasties inside. Always read the label. Also, be mindful that many snack balls have a high concentration of dried fruit in them. Dried fruit is highly nutritious, but it contains a high level of the natural sugar, fructose. Eating a lot of fructose isn’t good for you and can have a negative impact on your health. While fruit sugar is better than refined, it’s still not ideal, and something you need to watch out for. Snack balls have a healthy reputation, but because of their relatively small size it’s easy to think it’s OK to eat more than one. Many nutritionists warn those reaching for the energy snack balls to consider serving size and not go overboard, largely because of the fructose content. 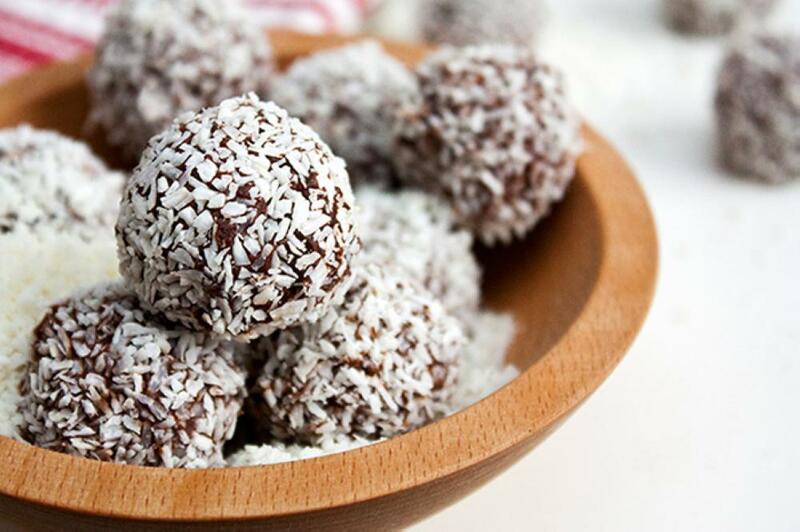 The internet is awash with recipes for healthy no-bake, energy bites. It may be more convenient to buy them from your gym, local health food store or supermarket, but it’s an expensive habit and much cheaper to make your own. Making them yourself also means you have complete control over what goes in them. Make a batch and package them up to keep in the fridge. They make a great gift for your health conscious friend, sibling, boyfriend, girlfriend, mum or dad. It’s also a great activity to do with your kids. Take a look at this range of customisable food bags from The Bag Broker, perfect for keeping your healthy treats fresh. If you don’t have a sweet tooth, there are plenty of savoury recipes you can try. The savoury energy snack ball doesn’t seem to have taken off like the sweet versions, but these are super healthy. Without a piece of dried fruit in sight, they won’t spike your blood sugar either. The energy snack ball has its place, but ingredients vary widely and some brands are teetering dangerously close to selling themselves as something they aren’t. Is the energy snack ball as deliciously satisfying as scoffing a chocolate bar? Probably not. Just saying. Don’t tell my personal trainer. In all seriousness, I have to partly disagree with Holly Van Hare. Making energy snack balls at home is decidedly satisfying and there’s something very special about mindful food preparation. Are energy balls all they are cracked up to be? In most cases, yes they are. Here are a couple of my own recipes, and whilst they're not 'balls' the ingredients are the same, they are just rolled differently!